In a sign of how the affordable housing crisis has become a focus for presidential contenders, Sen. Kamala Harris will introduce a new version of her bill to give renters a tax credit on Tuesday. The new plan will give renters that spend more than 30 percent of their income on rent and utilities a credit depending on their income, and allow beneficiaries to receive monthly checks from the government instead of getting it once a year through a tax refund. Renters who make up to $125,000 a year would benefit, with those earning less getting the most support, and the credit would be capped based on the typical rent in the taxpayer’s neighborhood. Supporters say it would help rebalance a tax code that has long been weighed in favor of buying a home instead of renting. Some experts have worried that giving renters a big credit would encourage landlords to raise their rents — and that doling it out monthly would make that problem more likely because landlords could expect their tenants to be able to pay more right away. But Harris’ staff argued that landlords wouldn’t factor the credit into rent prices because they couldn’t know how much future tenants would receive. An analysis of a previous version of the plan by the Columbia Center on Poverty and Social Policy found that it would cost $94 billion a year and help lift 7.8 million Americans out of poverty. More than 20 million households in the U.S., including half of those renting in California, are paying more than 30 percent of what they make on rent, according to the California Budget and Policy Center. Diane Yentel, the president and CEO of the National Low Income Housing Coalition, said making the credit available monthly would “ensure that the lowest income people get the assistance they need in time to make rent” and help people with the lowest incomes stay in their homes. Harris isn’t the only presidential candidate who’s proposed legislation to tackle the housing crisis — an issue that has long been relegated to the local and state levels and hasn’t gotten much federal attention in recent years. Sen. Cory Booker of New Jersey has introduced a similar rental tax credit for families spending more than 30 percent of their income on housing, and Sen. Elizabeth Warren of Massachusetts has proposed investing about $50 billion a year in funds for state housing agencies to encourage the construction of affordable apartments. Unlike Harris’ plan, both Booker’s and Warren’s address what most experts say is the top cause for excessive housing costs: a lack of housing supply. Booker’s bill would force municipalities to reform zoning rules that restrict housing construction if they want to continue receiving certain federal grants, while Warren’s would incentivize them to do so by providing new federal grants, in addition to the funding for new housing. 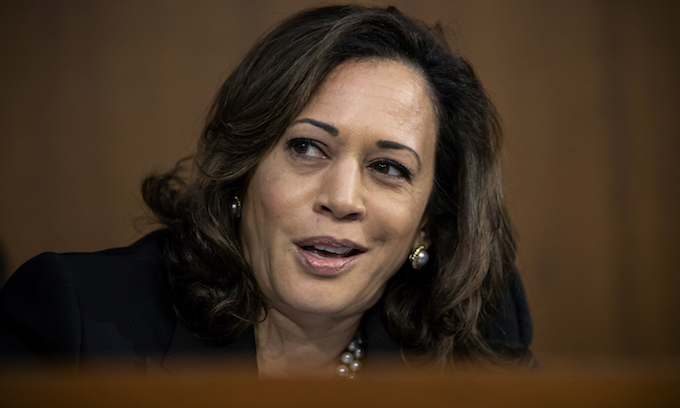 A Harris spokesperson said the senator supports efforts to invest in housing construction in addition to her renters’ tax credit. Other candidates like Sen. Bernie Sanders of Vermont and former Housing and Urban Development Secretary Julián Castro have also talked up the need for the federal government to get more involved in supporting affordable housing. Screw homeowners. They are less American than renters. Hummm………You sound like a gimme, you owe me. Only an idiot would think that working hard, saving your money, and buying a home makes you “less American than renters”. I’d love to know the thought process behind that statement. I’ve owned several homes, so I must be extremely un-American. disqus…Judging from the low rating, I think they missed your sarcasm, But I didnt. well said! How are you sure, he was being sarcastic? Why not just make all home owners be apostate! JAIL the heritics, hey?? IMO IF a renter should get a tax credit because 30% of their pay goes to rent, THEN BY GOLLY ANYONE paying 30% or more of their pay for a mortgage, should also get a bloody credit! BETTER YET< no one should get credits, as the entire tax system needs to be scrapped in favor of a FLAT 10% tax on everyone! You are right…I don’t know, but judging from the absurdity of the statement and the fact that is is after all a largely conservative site I am willing to bet he or she didn’t mean it. I am unaware of .gov ever paying my rent or making a house payment….But then, I’m Caucasian so I get everything for free anyways. its only a human right if a demoncrat says so. Housing is not a human right. It is earned, and if you can not control your spending, and do not keep your credit in good condition, you do not deserve housing. This woman lives in a world of her own. It should be illegal for any politician to offer anyone any kind of financial reward for anything, unless it comes out of their own pocket. We have inalienable rights, which encompass human rights… We have the right to pursue housing… not the right to have it… just like health care… we have the right to pursue it, not have supplied to us. What about the renters that don’t want to own a house… I know a lot of people that just don’t want the hassle of home ownership… do they get the tax deduction? All home ownership is the right to rent … you NEVER own anything. Don’t pay your property taxes and see what happens… the Government owns your house and they grant you the right to rent that land above anyone else… therefor homeowners should get the deduction as well. I used to think these Regressive Liberal Socialist Democrats are just ignorant with NO deductive reasoning skills… but… I’m beginning to realize their just stupid… and you can’t fix stupid.. just community organize it. If housing is a right, it must be paid for by the recipient, NOT ME paying for them! I worked and paid for my housing. I don’t have any obligation to pay for housing for those that don’t work for their own housing! If its a right, then make it a mandated 300 square foot TENT FOR ALL.. In addition to the 30 basic human rights enumerated in the United Nations’ Universal Declaration of Human Rights, socialist Democrats want to add the right to affordable housing, the right to Medicare insurance for all, the right to illegally immigrate to the U.S., the right to have a universal basic income, and the right to be protected from any negative effects that might possibly be attributed to climate change. In other words, these radical Democrats are hell-bent on replacing our capitalistic economic system with an all-encompassing socialist system under the guise of promoting an expansion of basic human rights. WHICH is why i despise the UN.. HOW DARE ITS rulings, override our constitution! She named her bill wrong, it is actually the “Watch Rents Go Through The Roof!” bill. AND watch as less and less people offer their houses up FOR Rending! People have the right to EARN money to pay for their own housing. That’s why Right to Work laws are important. This witch is a slaver from the get go. She can scarcely be considered an American, since she was an anchor baby…. When will these idiot communists ever shut up? Probably only after they have destroyed every vestige of western civilization & culture on the planet and then play hunger games with us on their computers. Keep in mind, renters already benefit from the fact that they pay no real estate or school tax. Who pays it? Oh yeah, the homeowners! But I guess that isn’t good enough for the socialist left. Now they want to incentivise and reward lack of achievement of which home ownership has always been a symbol. while this clearly reeks of socialist dogma it is yet just another example of pandering to an ignorant pathetic base in an attempt to to keep people happy to be poor, uneducated, unsuccessful and of course dependent on the most pathetic of politicians like Harris, Booker and Warren. Truely sickening. IIRC most of the above, gets rolled into their rent. So in a way they do pay those 2 taxes.. Rent is largely market driven while school taxes are charged based on proposed school budgets and the number of students in a given district. So while school taxes inevitably go up rent can’t always be raised to pay for the increase. Additionally a renter might have ten kids attending a school and pay no tax while a homeowner who doesn’t even have kids or rent their house has to pay for those kids. Given the inequity of the system the last thing we need are renters getting monthly tax credits. Hence why, i as a single male, DESPISE PAYING school taxes, while Ms fatty mc welfare leech, with 8 kids, GETS OFF PAYING ANY TAXES because she’s a welfare leech, and as such doesn’t even pay for the schools she’s using.